Just seems like recalls of children’s products can’t stay out of the news. Or our lives. As a parent, it’s upsetting. When I purchased/purchase items for my daughter, I do research and make the best informed decision I can. I especially look at things like “is this a reputable company” or “have they been in business a long time?”. I read parent reviews, educator reviews, expert reviews sometimes (depending on the product). And yet, it doesn’t seem to make a difference. You could buy something for $10 or $1000 and have the same chances now. I hope any manufacturer in the baby/child market really takes a hard look at how and where they are manufacturing their products and the possible effect cutting corners may have in the future. Fisher-Price has issued a recall for more than 10 million tricycles, high chairs and other products that pose safety hazards to children. The massive recall, which Fisher-Price said today will shave a penny off its earnings per share in the third quarter, is the largest for toys since Congress passed a law two years ago beefing up the product-safety regulator’s powers. Fisher-Price Trikes and Tough Trikes toddler tricycles, which are associated with 10 child injuries. Healthy Care, Easy Clean and Close to Me High Chairs, which are associated with 14 complaints. Baby Playzone Crawl & Cruise Playground toys, Baby Playzone Crawl & Slide Arcade toys, Baby Gymtastics Play Wall toys, Ocean Wonders Kick & Crawl Aquarium toys, 1-2-3 Tetherball toys and Bat & Score Goal toys. Each contains an inflatable ball, the air valve on which can come loose, posing a choking hazard. Fisher-Price Little People Wheelies Stand ‘n Play Rampway toys. The wheels on each can come loose, posing a choking hazard. For model numbers and sale dates of the affected items, visit www.Service.Mattel.com. Conversation around the dinner table getting staler than that tuna casserole you’ve been reheating for 3 days in a row? Well, 24/7 Moms has a great feature on their bog each day: Table Talk. She provides a question to get the conversation started at dinner and also a fun riddle to share with the family. Q: If you could meet a person from history, who would it be? Q: What has roots that nobody sees, and is taller than trees? Q: Tell us three adjectives that describe your day today. Q: Why don’t African animals play games? A: There are too many cheetahs (cheaters). Q: If you won the lottery (or won $100) what is the first thing you would buy? Q: What goes in the water red and comes out black? Q: What is your favorite hobby? Tell me about it. Q: How much is a skunk worth? With some thought and a pack of index cards, you can make your own questions that are a perfect fit for your family. Which ever method you use, this seems like a fun idea and a great way to inject some excitement into the traditional dinner talk. Bet none of the questions have to do with the weather! Fall is upon us, and with it starts the usual round of apple picking, pumpking picking, hayrides, corn mazes and more. Looking for great places in your county in which to take your family? Well The Playground Guide has it. They have listings for Morris, Bergen, Sussex and Warren counties. To view the list, with links to the farms, click HERE. For the past couple of weeks, I’ve been making meals for my family based on recipes I read about/found on the Internet. Gotta tell you, not a one of them has been bad! I’ll start with my favorite one this week: Baked Lemon Pasta. I love lemon pasta/lemon chicken. So this was right up my alley. The recipe is from Ree Drummond, knowns as The Pioneer Woman. Fantastic website and she has a fantastic cookbook out. Four stars to The Pioneer Woman in our house! Hope you try it and enjoy it just as much as we did. (I will admit, I did cut the butter down some.) I can’t wait to make it again. Basic recipe is below, but her website has great step by step photography that makes cooking her meals so easy! In a skillet, melt butter with olive oil over LOW HEAT. When butter is melted, add minced garlic. Squeeze lemon juice into the pan. Turn off heat. Add sour cream and stir mixture together. Add lemon zest and salt. Taste, then add more salt if necessary. Pour mixture over drained spaghetti and stir together, then pour spaghetti into an oven safe dish. When you remove it from the oven, squeeze a little more lemon juice over the top. Top generously with Parmesan cheese, then chopped parsley. Give it a final squeeze of lemon juice at the end. Serve with crusty French bread and a simple green salad. They do have a lot of super cute little items that won’t blow your budget. I don’t mean to rain on their parade, I do heart them much! Go check out their website at Chasing-Fireflies and make sure you sign up for their catalog! 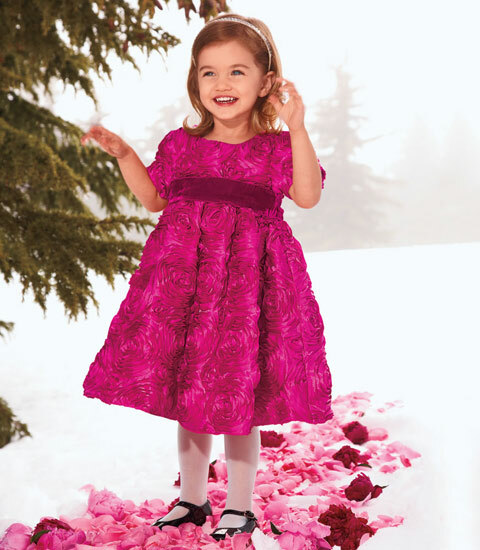 Then you too can lay on your couch dreaming about outfitting your special little person in beautiful garments. If you’ve been listening to the radio or watching TV, then surely you know about the Katy Perry flap on Sesame Street. The issue centers around her outfit. I have to say, after seeing the pictures of the ample popstars outfit, I have to agree. It’s a lot of boobie for first thing in the morning. And while I don’t consider myself a prude, I do think it’s not appropriate for kids or for Sesame Street in general. If you want your kids looking at sexed up actresses or singers, there are a million other ways to do that. MTV for one. Sesame Street means safety, appropriateness, rated G. I’m surprised that they put her in such an outfit. It wasn’t safe, appropriate or rated G. I think they made the right move pulling the duet. I think the wardrobe department needs a reminder of who their audience is. (And just a hint, it’s not the mommies or the daddies!). What do you think? Was it too much for Sesame Street? Did they do the right thing? Or is that what parenting is for? To say “that’s inappropriate for my child” and turn the TV off? Or maybe a little of both? WASHINGTON – Drugmaker Abbott Laboratories said Wednesday it is recalling millions of containers of its best-selling Similac infant formula that may be contaminated with insect parts. A company spokeswoman said Abbott uncovered the insects last week in one section of a manufacturing plant in Sturgis, Michigan. “We immediately shut down that one area and began an investigation,” said Abbott’s Melissa Brotz. “We’re in the process of resolving it now.” Abbott manufactures Similac at several U.S. sites. Brotz said the company has been consulting with the Food and Drug Administration, which determined there was no “immediate health risk” from the contamination.